tapped from the boswellia tree, it exudes an aromatic resin also known as olibanum. 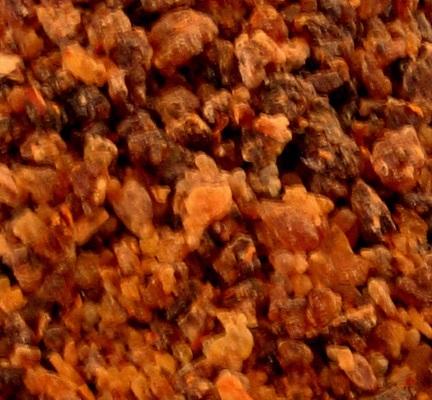 frankincense was one of the first cosmetic ingredients, used by the ancient egyptians and arabians in facial oils and ointments for its preserving properties. it is now culled from yemen and somalia. the aroma is said to represent life, familiar yet exotic. a blend of balsamic and spice, it was one of the primary botanical essences to be used in fragrances for its staying power. benefit: historical practices long suggested its use on inflamed skin conditions. its antiseptic and skin-healing properties fight bacteria and infection. frankincense is excellent on mature skin to prevent signs of aging and acne. a natural astringent, it helps to balance oily skin. but its curative powers are more than skin deep. by slowing the respiratory system, it calms the body and mind, and produces a sense of serenity.